My daughter and I are looking at moving from Tasmania to the Blue Mountains. We have never been there and know nothing about the area, which makes it such a hard decision. We would like to live somewhere beautiful with friendly people and a nice community. I would love to hear from people who live there and get advice on nice areas, and which high schools are the best. We will be renting at this stage. JenniferD4 Thanks Jessica. What is Lithgow like ? 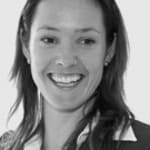 Jessica Ridder The real estate is generally cheaper in Lithgow and there are some beautiful areas to live. I think the crime rate is higher than the Upper Mountains - Blackheath, Mount Victoria, Medlow Bath, Leura, Wentworth Falls. Stick with Leura or Wentworth Falls you can't go wrong. The Blue Mountains suburbs are generally pretty safe compared to most of Sydney but some areas are a bit rougher. Lower mountains are getting pretty pricey. Mid mountains have a lot of families and beautiful areas (Winmalee, Springwood and Faulconbridge) but do have some less affluent areas with young people who don't look especially well-kept or purposeful. Generally, these people are mixed in with everyone else. The mountains generally doesn't have a 'ghetto' area. Parts of Katoomba are nice, some parts are a little rough but Katoomba is quite big (compared to other mountains suburbs). Upper mountains: pretty safe. Katoomba also has a large police station and much more to do than the smaller townships dotted around it. People are out and walking about. If you are looking for close proximity to great shops and schools, choose the foot of the mountains. Emu Heights is amazing, safe, private yet polite and friendly. Check out suburb reviews on this link. Great place to raise a young family, wonderful sense of caring community. We moved from Blacktown a couple of years ago and would never go back. Groceries are definitely more expensive and you need to go down to Penrith if you need more well-known stores. There aren't a lot of parks in the area which is surprising given there are many young families living here. Pretty sure our insurance premiums are no higher than before. We've had major bushfires living here but the local fire brigade is fantastic and is all part of living here. KaTra Yes, Jennifer there is a variety of furniture stores in Penrith such as Freedom Furniture, John Cootes Furniture and low-cost options such as Fantastic Furniture. Happy moving! I'm moving to Katoomba in the next 12 months - what are the best areas to live?